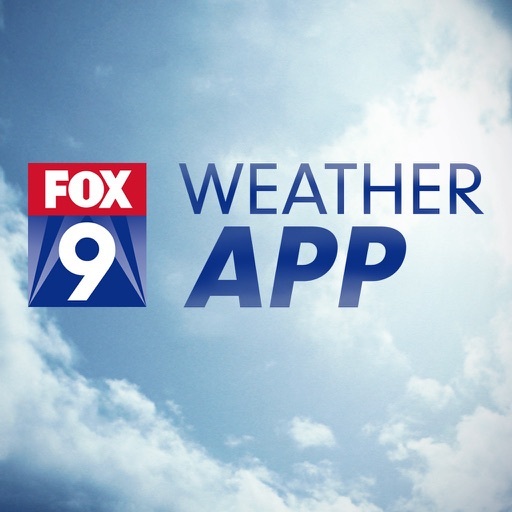 FOX 9 Weather – Radar & Alerts by Fox/UTV Holdings, Inc on behalf of its television station KMSP. 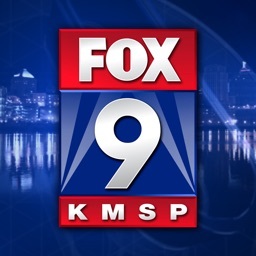 by Fox/UTV Holdings, Inc on behalf of its television station KMSP. Stay sky aware with the free FOX 9 Weather app, the easiest way to check your local forecast in the Minneapolis - St. Paul metro area. 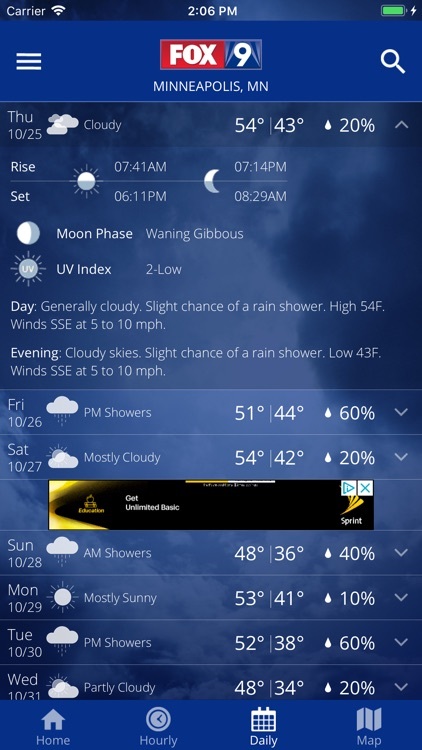 The user-friendly design allows you to quickly check radar, hourly, and 7-day weather information just by scrolling. 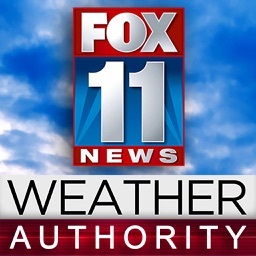 Plus, our early weather alerts warn about upcoming storms, keeping you and your family safe. 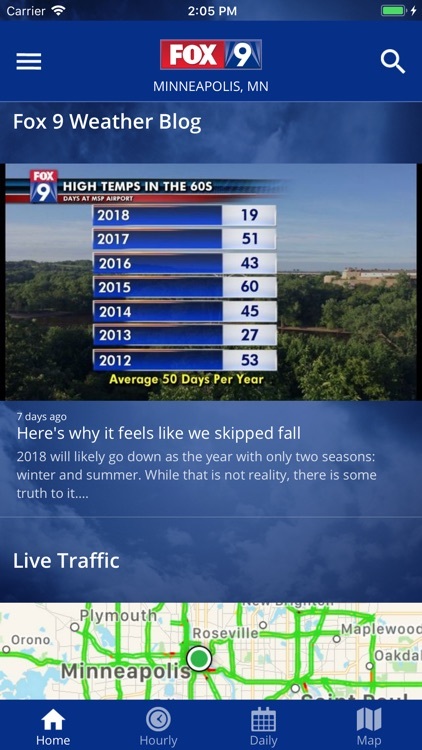 Why Download FOX 9 Weather? 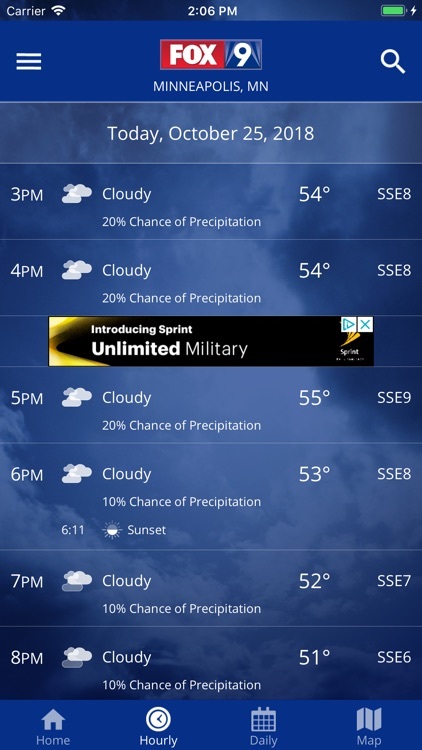 to give you accurate conditions wherever you are. 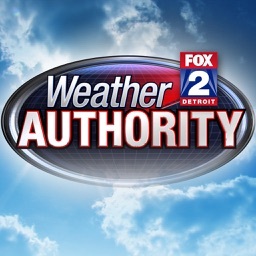 • Get school closings information quickly. Snow day anyone? movement and future radar to see where severe weather is headed. 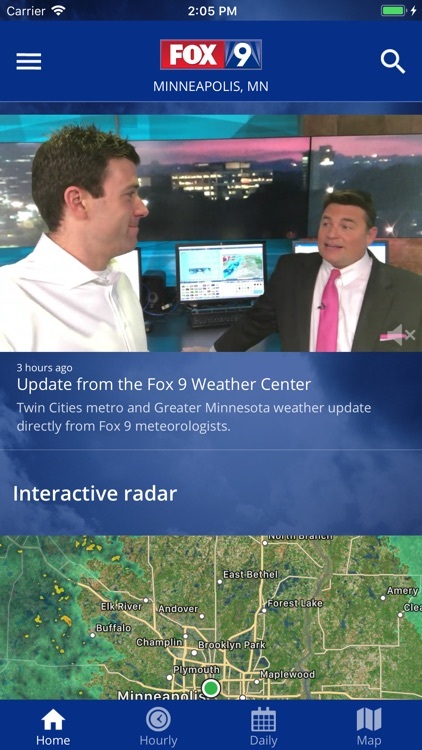 Center, so you can stay informed even during power outages. 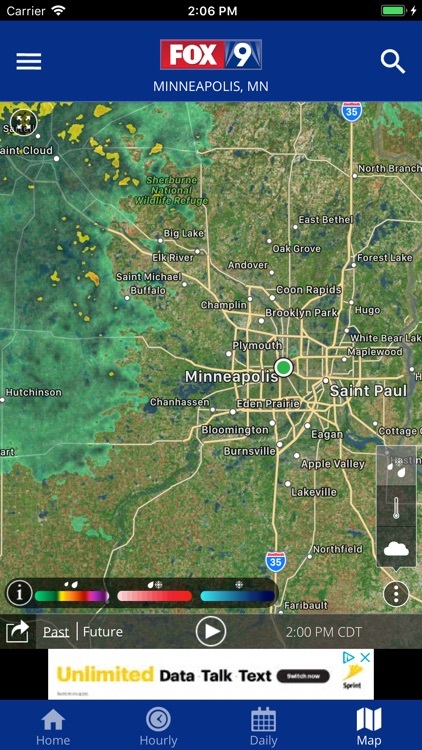 • Live traffic map for the Minneapolis-St. Paul metro area. 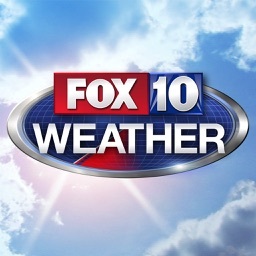 for them on TV during our local news.